^ Avner, Yehuda. The Prime Ministers: An Intimate Narrative of Israeli Leadership. The Toby Press. 2010. ISBN 978-1-59264-278-6 （英语）. 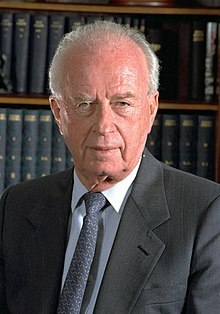 ^ Yitzhak Rabin - Biographical. Nobelprize.org. [2011-08-31] （英语）. ^ חוקים לזכרו של יצחק רבין （希伯来语）. Karpin, Michael; Friedman, Ina. 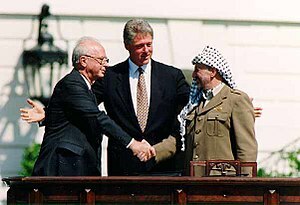 Murder in the Name of God - The Plot to Kill Yitzhak Rabin. ISBN 0-8050-5749-8.